Three hours is all it takes to travel from our sandy seashore to the top of Carter Mountain outside Charlottesville, Virginia but what a change in scenery and pace, folks just zipping around those mountain curves like the blazes. ( Me, I just drive along at a good pace but not trying to set any records either. ) It’s really beautiful on top of Carter Mountain this time of year, off in the distance the Blue Ridge peaks look very blue. Close up, the mountain foliage is almost past its peak whereas back on the Eastern Shore, a lot of the trees are just slowly beginning to turn. When my kids were small they loved cider and a little song called Sipping Cider Through A Straw. 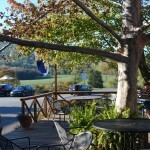 Now that they’re adults they still love sipping cider and Carter Mountain Orchard is an excellent place to do just that. The week-end before Halloween is a busy time at the orchard, it seemed like their winding mountain road was bumper to bumper, both going up and coming down, cars chuck full of pumpkins, apples and apple cider. But nobody was impatient or honking, they were just enjoying the crisp fall air permeated by the sweet smell of apple pies baking in the orchard’s little bakery. Actually, we like Carter’s apple cider donuts just as much as their apple pie– if you’ve never had one, let me say that it’s hard to beat a fresh cider donut ( or 2 ) paired with a cup of hot spiced cider as an autumn treat. 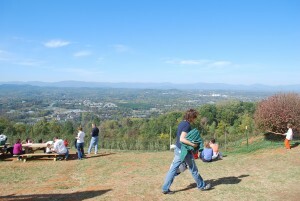 Anyway, the plan was to meet up with our son and crew to have lunch atop the mountain and then pick apples. BBQ sandwiches and real french fries ( not frozen mushy things so often served) washed down with fresh-pressed apple cider, a tasty lunch for sure, just close the eyes to the calories ! But the rest of the plan was to work off some of those calories by picking apples. After the kids enjoyed a ride around the orchard on a tractor-pulled hay-wagon, we all set off for the U-Pick section of Fugi apples. In my opinion, Fugi’s are a perfect apple for both eating and cooking. 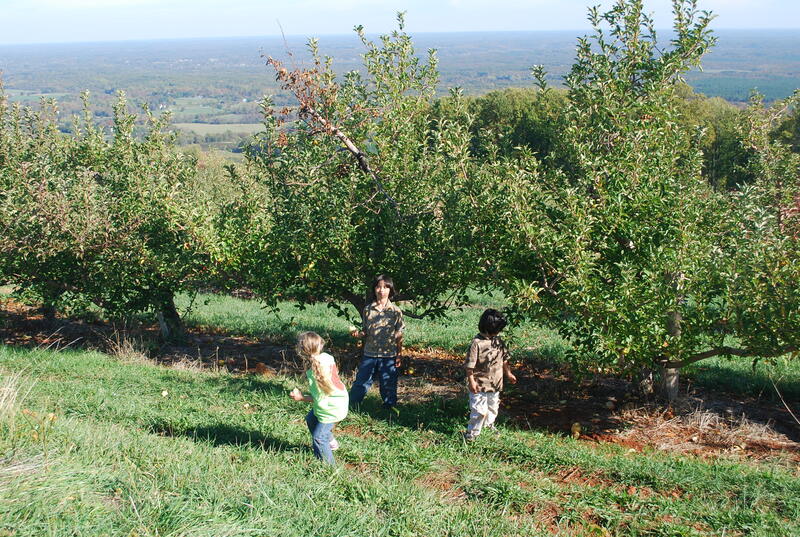 Picking was the easy part– toting about 100 pounds of apples down the mountain while corralling 3 little running, laughing grandkids was a challenge but we managed it. By then the time had finally come to pick the Great Pumpkin. After much searching, evaluating and advocating for a particular favorite, the kids at last found a pumpkin upon which they could all agree, thank Heavens for that ! 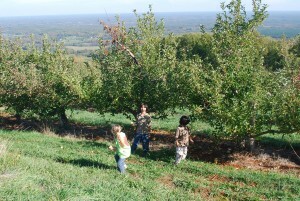 Last item on our Carter Mountain Orchard to-do list was to get a bushel of Pink Lady apples. Having had our fill of apple picking for the day, we opted for a pre-picked bushel of these beautiful apples, each one sporting a wide pink blush. For staying power in a refrigerator, a Pink Lady is hard to beat. They are a wonderful all- around apple for eating, Waldorf salads, frying, etc., etc. 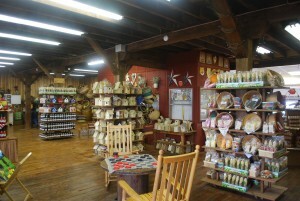 So, loaded up with apples, apple cider, apple cider donuts and jars of apple butter, we were ready to say goodby to Carter Mountain Orchard ( www.cartermountainorchard.com ) until next year’s apple trek from Virginia’s Eastern Shore to Charlottesville, Virginia. 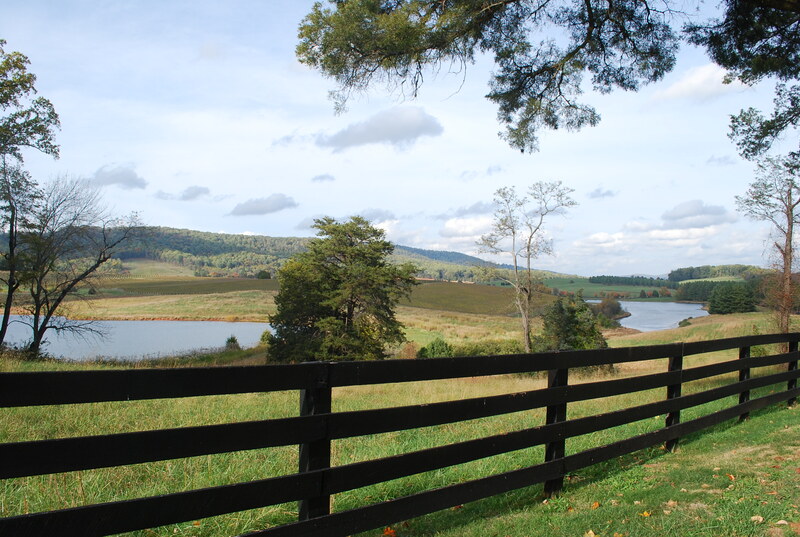 From Virginia’s Eastern Shore To Blue Ridge Mountain Wineries — A Wonderful Trip ! 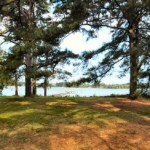 From the seashore to the mountains in only three and a half hours of travel through beautiful scenery — that was the essence of our trip from the Eastern Shore of Virginia to Charlottesville, Virginia last week-end. 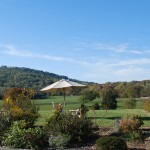 October is wine month in Virginia, no better time to take a little break to follow the Monticello Wine Trail ( www.monticellowinetrail.com ) and to have fun visiting a few of the 25 wineries on that Trail. Question: What do Dave Matthews, Thomas Jefferson and an extremely wealthy Virginia family have in common ? You’ll see. 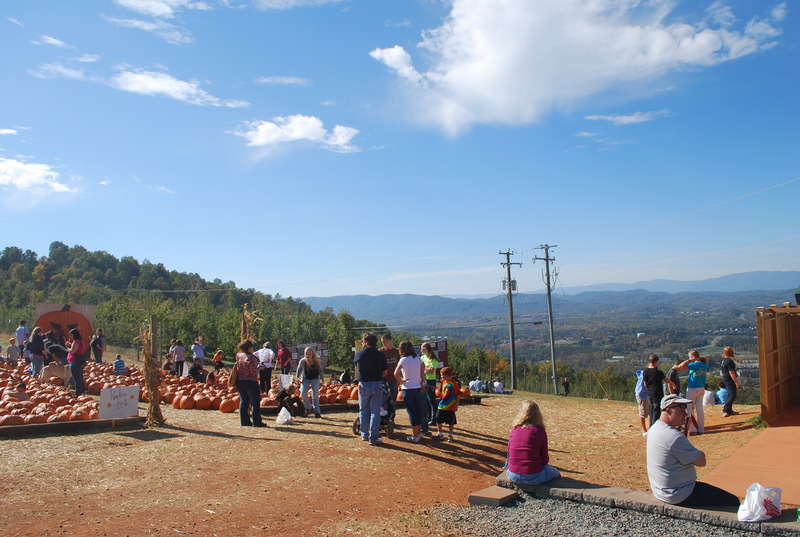 The first stop on our trip was up Carter Mountain where we hooked up with my eldest son and family for some apple picking, cider sipping and hayride tripping but more on that in another post. 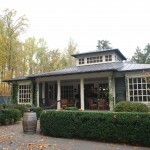 Carter Mountain Orchard has added a wine tasting room where we tried several different wines from the Prince Michael Winery, including a particularly good Chardonay. I ended up getting a bottle of the Chardonay for a friend who is having foot surgery on Friday — if you are confined to the sofa for a week or more, what better than a good glass of wine to liven things up. 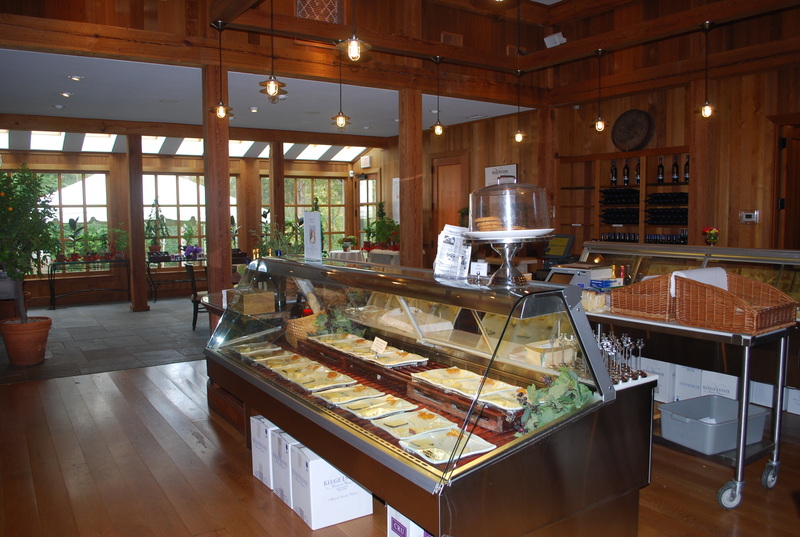 Our next stop was Simon’s Market which specializes in picnics and sandwiches for the many winery visitors in the area and is located just around the bend from Jefferson Vineyards. 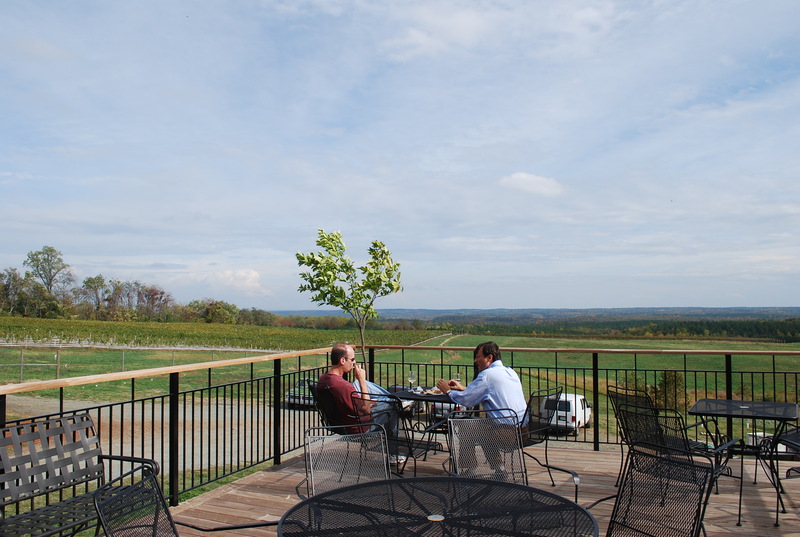 We popped in for two of their cream cheese, kalamata olive spread, roasted peppers and Genoa salami sandwiches to enjoy with a glass of Jefferson’s excellent Viognier out on the vineyard’s patio, overlooking the beautiful views of the vines and the Blue Ridge mountains. 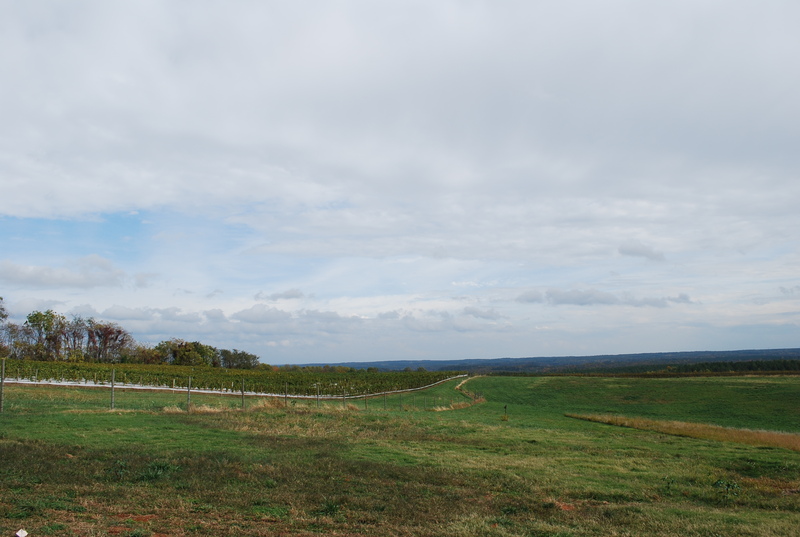 Only a mile from Monticello, this land was the site of Thomas Jefferson’s first vineyard, planted in 1774 . Jefferson became very interested in wines from his time in France and the winery website, www.jeffersonvineyards.com , offers a lot of detail on the interesting history of this property. 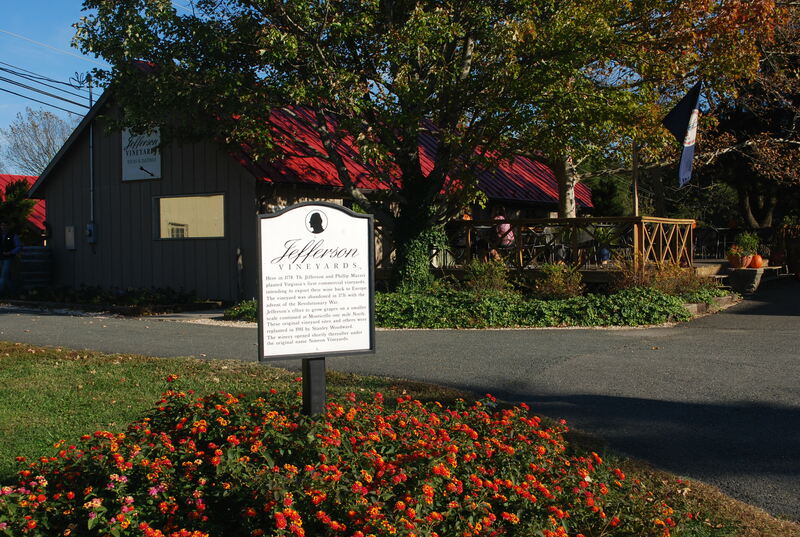 Jefferson has a very attractive tasting room and the wines here are delicious, especially the velvety Cabernet Franc and their Viognier, which is particularly crisp and refreshing. 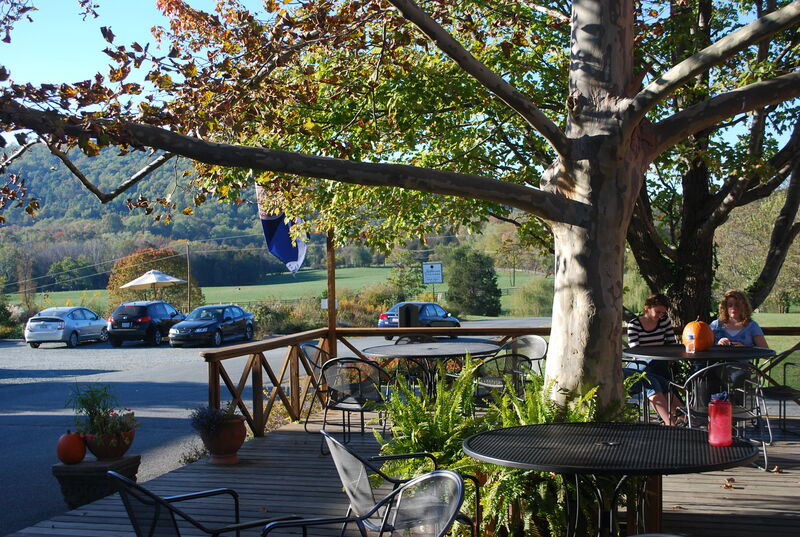 After a good dinner at the Boat House, a restful night’s sleep and a late breakfast at Brodo’s Bagels, it was off to a trio of wineries, all near Monticello. 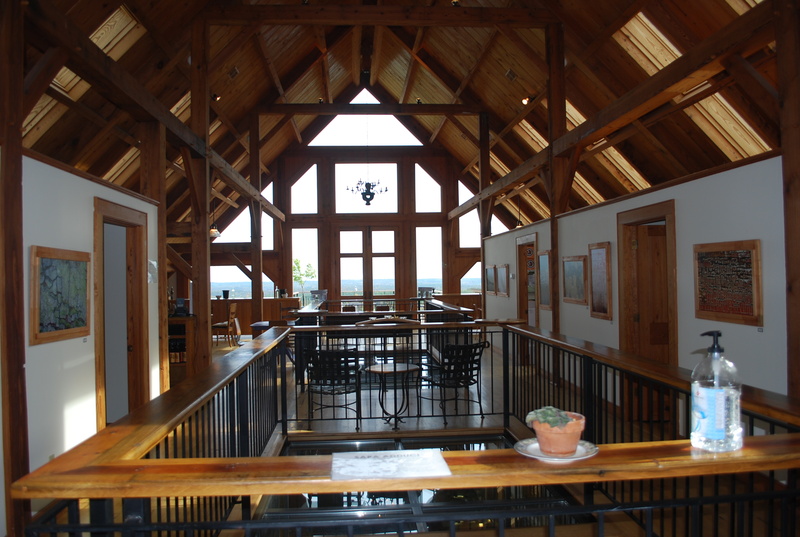 We wanted to visit the tasting rooms of First Colony, Blenheim and nearby Kluge. 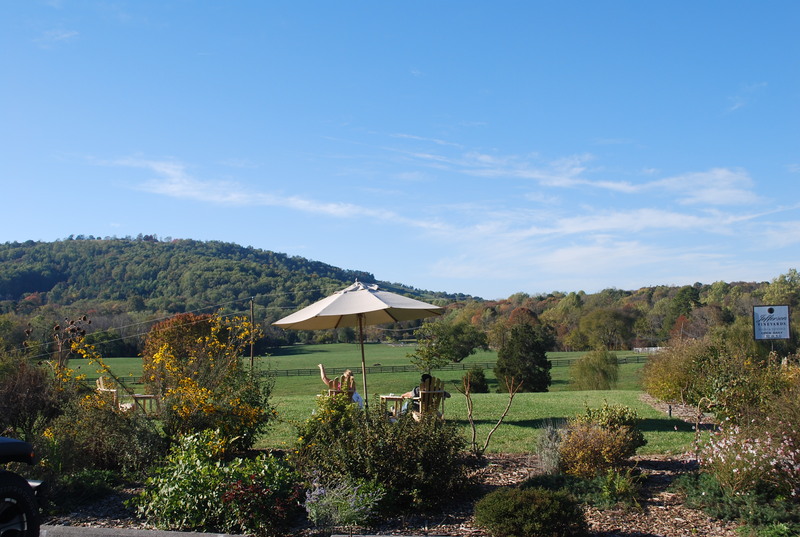 We had thought about Keswick Vineyards because we had read about their interesting tradition called “Yappy Hour” where on Sunday afternoons from noon till closing, doggie loving customers can bring their canine pals and socialize with other dog owners. 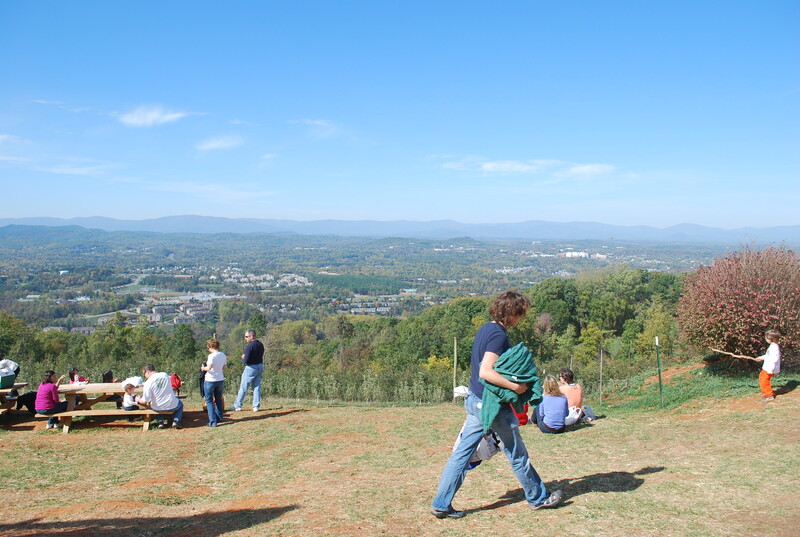 Even though our dogs were not with us, it still sounded like fun but Keswick was too far away from other the three vineyards we had already decided to visit and still depart Charlottesville by 5 pm. First to First Colony. The driveway approach to the tasting room winds around the 12 acre vineyard with the mountains as a familiar back-drop. 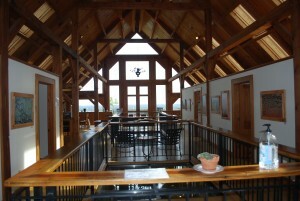 Once inside, the main room is lightfilled and airy with a separate dining area for special events. We tasted several whites as well as the reds. My favorite red was the Petite Verdot and I loved the Zephyr, a bright white wine with flavors of pineapple. Just off the tasting room at First Colony is an elevated deck surrounded by large hardwoods dressed in their intense fall colors– a good place to rest with a glass of wine and some of the available cheeses. From there to Blenheim Vineyard not far away and owned by, you guessed it, Dave Matthews of the famed Dave Matthews Band. 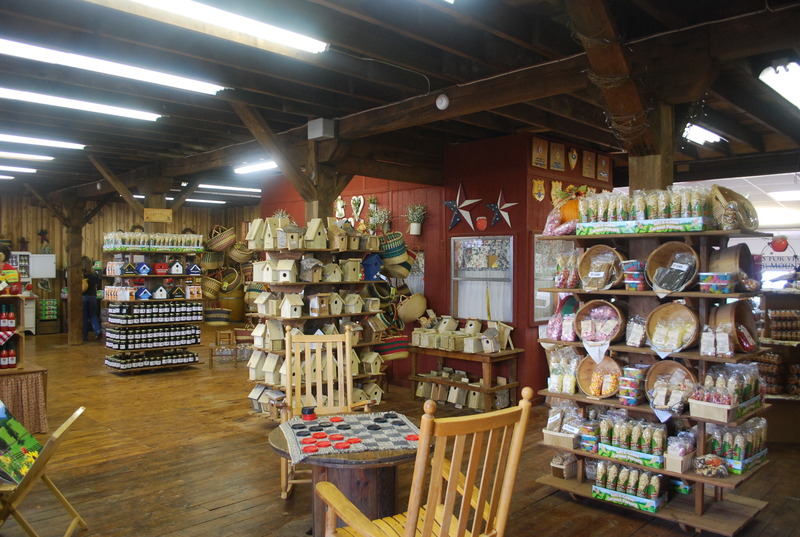 The land was owned by his mother before Matthews decided to begin the vineyard and it is a family run operation. 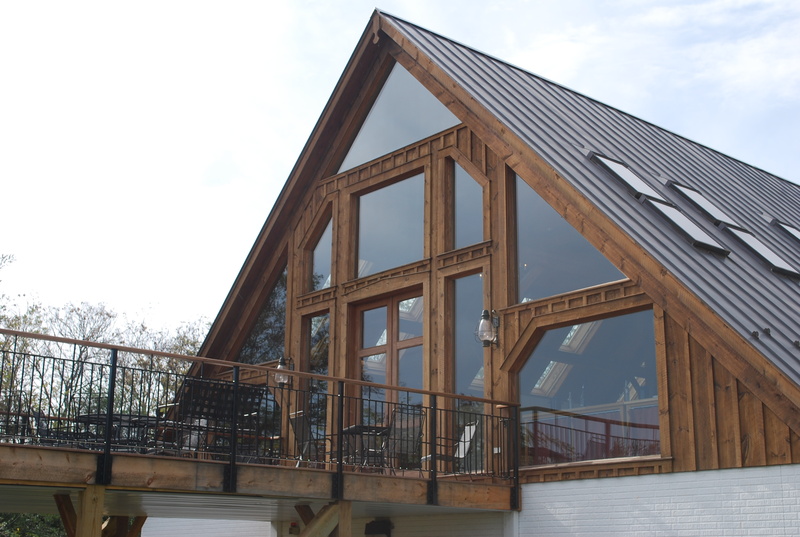 The tasting room is in a handsome timber-framed building which features a full glass south facing wall overlooking the vineyard and the mountains and includes a large outdoor seating area for a picnic with a bottle of Blenheim’s excellent wine. 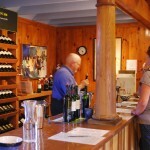 The most interesting part of the tasting room however is the floor– or rather, lack of floor. As you walk in the door, the center portion of the tasting room floor is made of clear plexi-glass so customers can see into the barrel room below. That’s a very unique feature in my experience and one that I’m sure everyone “oo’s and ahs” about — I know we were impressed. The wines were impressive as well and we ended up with several bottles of the spicy Cabernet Franc. 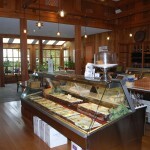 From Blenheim we were off to Kluge Estate Winery and Vineyard just a few minutes away. 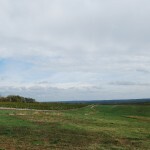 The Kluge family is a very wealthy family and the vineyard and winery established by Patricia Kluge in 1999 are located on a tiny portion of their very beautiful 2000 acre farm. 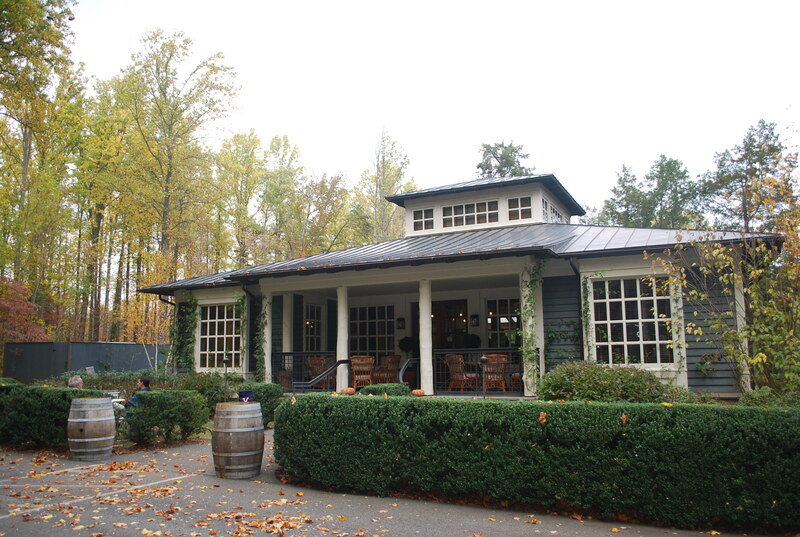 The tasting room is nestled in a grove a mature hardwood trees and features outdoor seating on the patio and in the garden area as well as indoor seating surrounded by warm hardwood paneling. 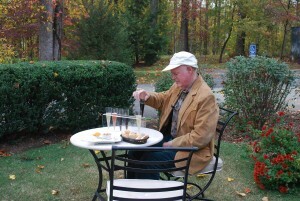 Kluge’s tasting proceedure is also unique– instead of small pourings into commemorative wine glasses, Kluge has a custom upright tray with 6 slots for tall cylindrical vials. 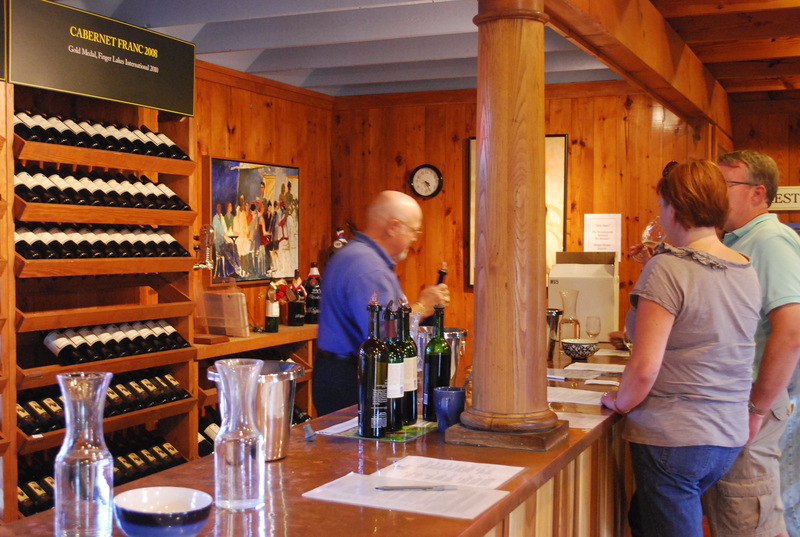 Customers select from two tasting flights of six wines each, approximately $10-14/flight, select a cheese plate if desired and then find a quiet spot to sip and evaluate the wines. We picked the flight that included two of their superb sparkling wines, a rose and three different vintages of their “New World” a luxurious blend of Cabernet, Merlot, Malbec and Petite Verdot. 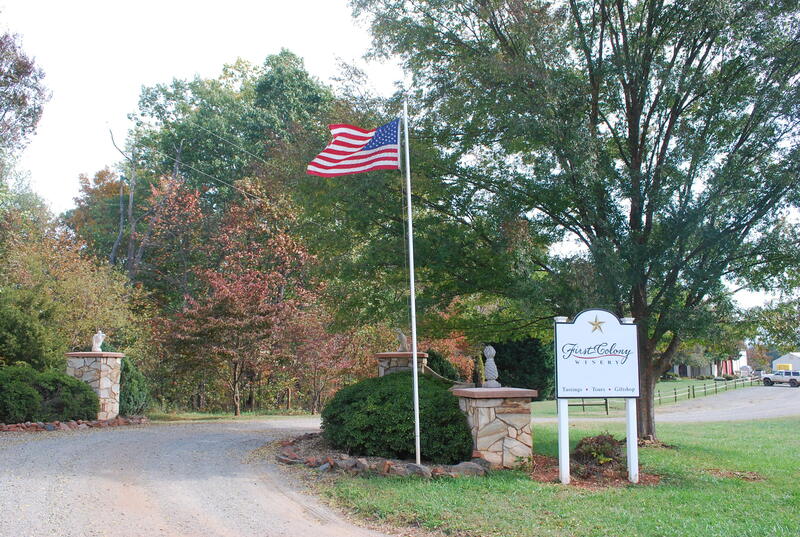 Needless to say, as we left Charlottesville and these four fine vineyards behind, jumping on the interstate to head back to home- sweet- home on Virginia’s Eastern Shore, we were well armed with red, white and sparking wines for the upcoming holiday season ! P.S. Back to the question of what Thomas Jefferson, Dave Matthews and the Kluge family all have in common. 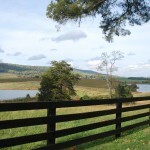 The answer is of course, a love of good wines and the creation of memorable vineyards as testiments to that love. 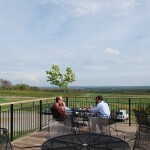 See these wineries on the web at : www.jeffersonvineyards.com , www.firstcolonywinery.com , www.blenheimvineyards.com and www.klugeestate.com . I Can’t Believe That My Favorite Month On Virginia’s Eastern Shore Is Almost Over ! 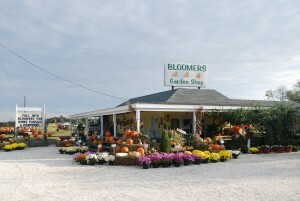 And there’s always a lot going on in October both on the Eastern Shore and around Virginia. 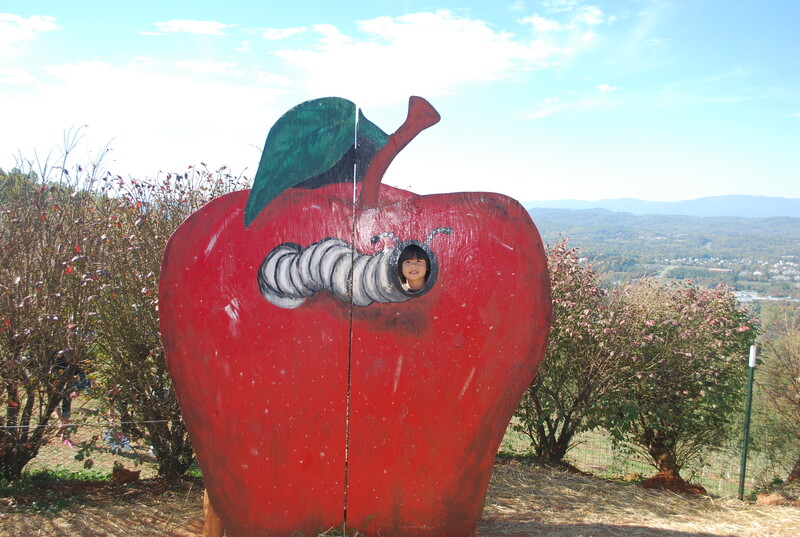 It’s almost time for our annual Blue Ridge mountain trip to Carter Mountain Orchard in Charlottesville, Virginia, home to Pink Lady, Fugi, Stayman Winesap, Yellow Delicious and Granny Smith apples— all favorites of our family. Time to put a couple bushels in the garage refrigerator for pies and Waldorf salads, etc. through the winter. 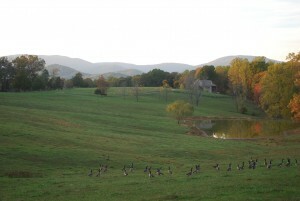 Fall foliage will be at its peak up in the Blue Ridge Mountains, a lovely sight indeed. And the 20 + wineries there will nearly all be having special tasting room treats. 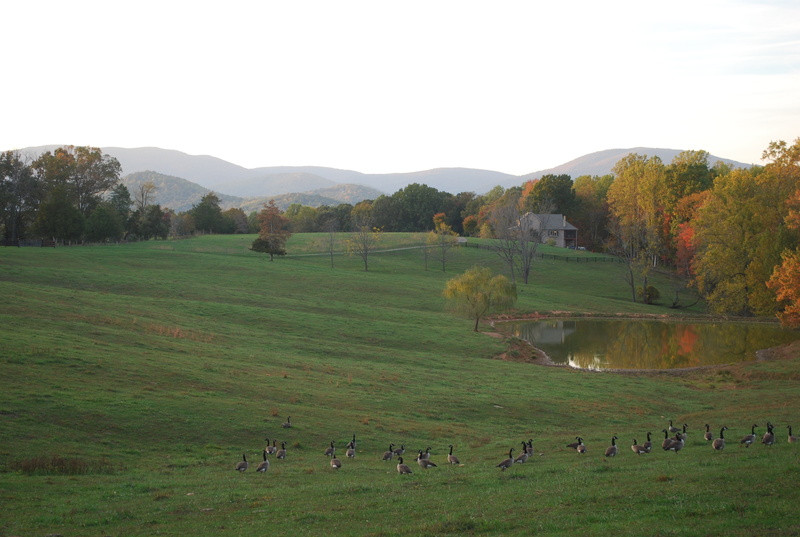 It’s an easy trip, just over a three hour drive from Virginia’s Eastern Shore to Charlottesville ( C-ville as the locals there call it ), through some beautiful scenery. Going to Carter Mountain for apples, apple cider and apple butter plus some side ventures for wine to Jefferson Vineyard and Barboursville Vineyard, both a part of the Monticello appellation ( www.monticellowinetrail.com ) is annual October tradition for my husband and I. Part of the “October is my favorite month” thing — good apples, good wines , good times. 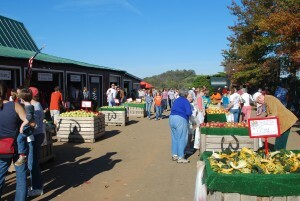 Here on the Eastern Shore, the October foodie thing, the annual Harvest Festival has come and gone. ( In fact, I just finished a week of rice cakes and cottage cheese for lunch, thanks to over- indulgence at the Harvest Fest, especially on crabcakes and the always fantastic sweet potato pie.) The October birdie thing, the 18th annual Birding Festival has also come and gone. 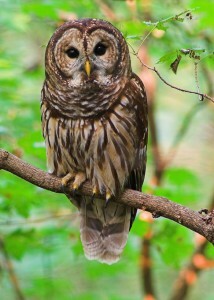 But the birds, especially the beautiful songbirds and large raptors, are still migrating through. Good luck guys and gals, it’s a long, long way to Central and South America. ( Ever wonder if birds say to themselves, in bird speak obviously, ” This migration thing is a severe pain in the tukus — let’s just say “No” next year and go to Miami instead !” ) The annual Chili and Chowder Cook-off held in Chincoteague, Virginia each year in October for the last eleven years has also come and gone. The chili and chowder part is great– I love chili, my husband loves clam chowder, so it’s a win-win event for us. But Treat or Treat is still to come. I’m looking forward pumpkin carving and walking around the “big block” in the little town of Cheriton with my grandkids on Halloween as they collect enough goodies to provide another year of job security for their dentist. 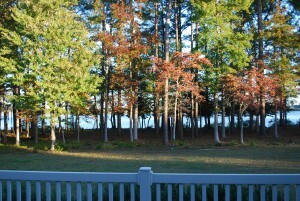 And then, inevitably, October, my favorite month on Virginia’s Eastern Shore, will be over yet again. 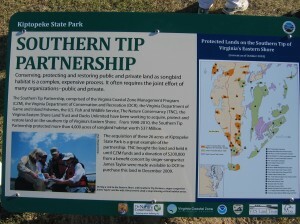 As the topography of the East Coast shapes into a funnel at the end of the Delmarva Penninsula so follows millions of migrating songbirds where they gather at the tip of Virginia’s Eastern Shore to refuel for the crossing of the Chesapeake Bay and for leaving the mainland of the continent to migrate across thousands of miles of the Atlantic Ocean towards Central and South America. 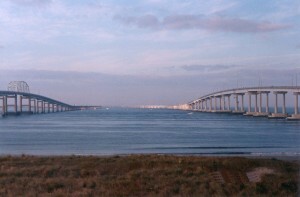 James Taylor personally donated $200,000., the proceeds of a 2009 fund raising concert he performed in Virginia Beach. The land that was purchased and added to the state park was formerly agricultural in use and now will be allowed to flourish as wild bird habitat for future generations forever. 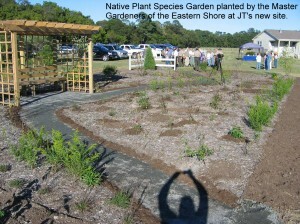 Hundreds of native trees, shrubs, and grasses have been planted there to support the songbird migration. Birds truly have “got a friend” in James Taylor. 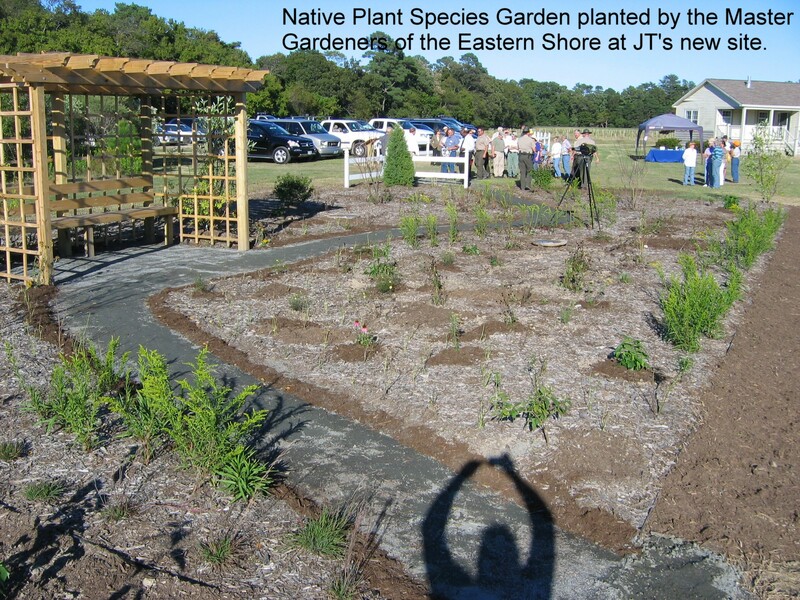 The Eastern Shore of Virginia Master Gardeners donated 500 hours of volunteer labor and the plants necessary to establish a demonstration garden of native plant species, the perfect compliment to the James Taylor bird habitat. 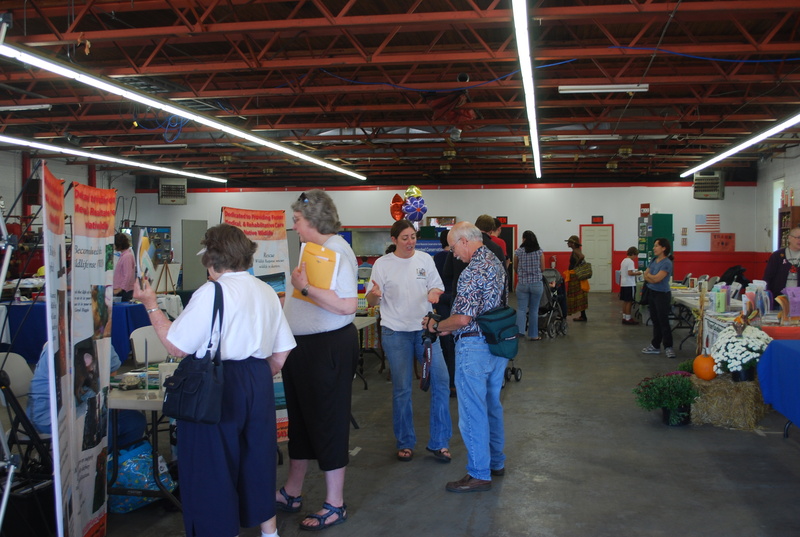 I joined the Master Gardeners two years ago and have gained quite a bit of knowledge and experience in gardening, landscaping, plant diseases, and maintenance. The best part is making new friends and contributing to our wonderful community. 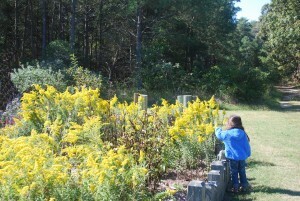 Each new class that graduates has installed a garden in a public place and maintains it. The Virginia Eastern Shore community benefits also by the thousands of hours of volunteer work that the Master Gardeners donate each year in support of education and maintenance of public gardens. Indeed, several of our little Northampton County towns, including Cape Charles, Virginia and Cheriton, Virginia, were actually founded around the late 1800’s and their architecture consists substantially of Victorian style homes along with Georgian Revival, America Four Square, etc..
Two very different examples of historic homes for sale on Virginia’s Eastern Shore include a beautiful in-town Craftsman cottage style home built in 1913 and an amazing waterfront historic home, situated on five acres in the country, the earliest section of which was built in the late 1600’s. 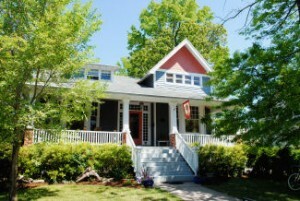 The Craftsman cottage style home (www.antiquehomestyle.com ) , has been meticulously restored, with over 3000 square feet, featuring five bedrooms and five and a half baths, located only about 500 feet from the wide sandy beach in the quaint coastal town of Cape Charles, Virginia with amenities like beach, golf and marinas. 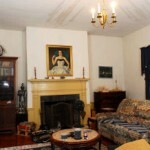 Shown on HGTV’s “If Walls Could Talk” , it’s currently serving as a very successful B&B. However, its open, airy floor plan and modern conveniences will make it a wonderful personal residence, offering great entertaining spaces. Friends and relatives— come on down ! 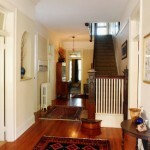 All the “must have” historic treatments are here — ten foot ceilings, raised panel doors, wainscoating, columned room dividers, moldings, etc. 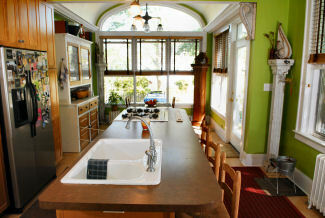 Walk to the beach in 30 seconds, enjoy water views and dazzling sunsets from the huge front porch. 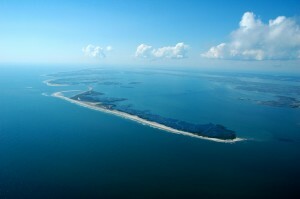 Golf carts are “street legal” in Cape Charles so you can “go-green” and zip over to the Cape Charles Coffee House, etc. for lunch in your electric cart. 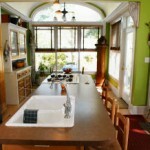 Offered at $585,000, this fine home can be a wonderful personal residence or kept as a B&B, the perfect opportunity to have a home business. 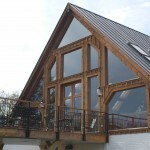 On the other end of the spectrum is the nearly 4000 sq. ft. “Wellington House”, located on the water in the country about 20 minutes from Cape Charles. 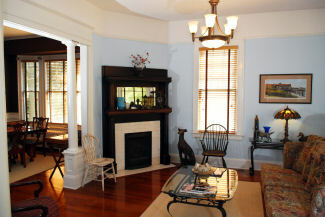 Situated on a colorful, deep saltwater inlet from the Chesapeake Bay, this amazing four bedroom, three bath home with an existing backyard dock is a rare opportunity to marry a love of historic homes with a love of boating. 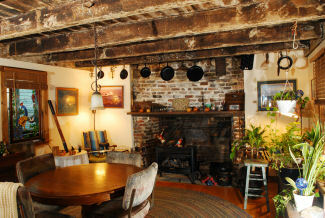 An absolute gem, built of brick, Flemish bond style, this home’s earliest section dates back to the late 1600’s . 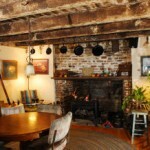 When you enter the original quarter kitchen with its huge hearth and beams, used now as a sitting room, it’s like going back in time to the Colonial days. 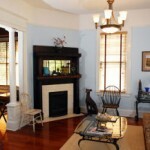 High ceilings, additional fireplaces and wide plank floors throughout lend this special home an authenticity and ambience that few historic homes can rival. 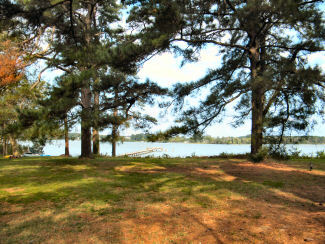 Add to that its amazing waterviews, backyard pier for a boat and the seclusion offered by its five acre size and it totals one terrific historic home, all this offered at the attractive price of $1,495,000. 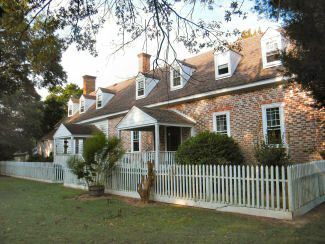 We’ll have more posts soon about the opportunites to purchase historic real estate on Virginia’s Eastern Shore. 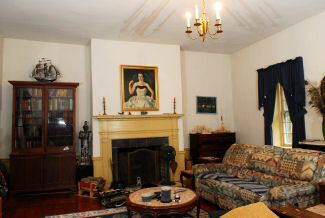 In the meantime, some of our unique historic home for sale listings can be viewed at www.blueheronva.com with prices starting at $199,000 to over $3,500,000 for a home on 100+ acres. 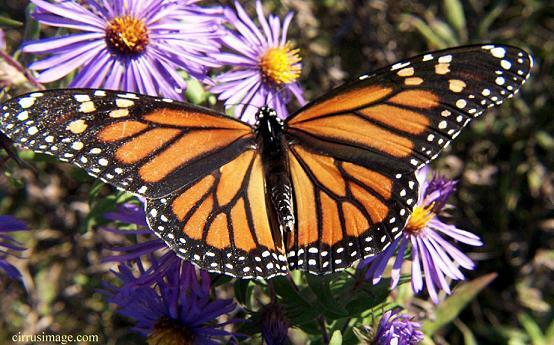 What do the “Run For The Birds”, the “Butterfly Walk” and the “Owl Prowl” have in common ? ( No, they’re not new dance steps ! ) 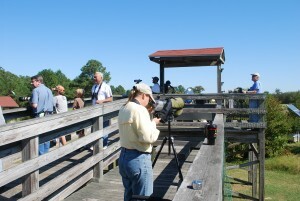 Rather, each is a part of the annual Birding Festival held on Virginia’s Eastern Shore on the first week-end in October. 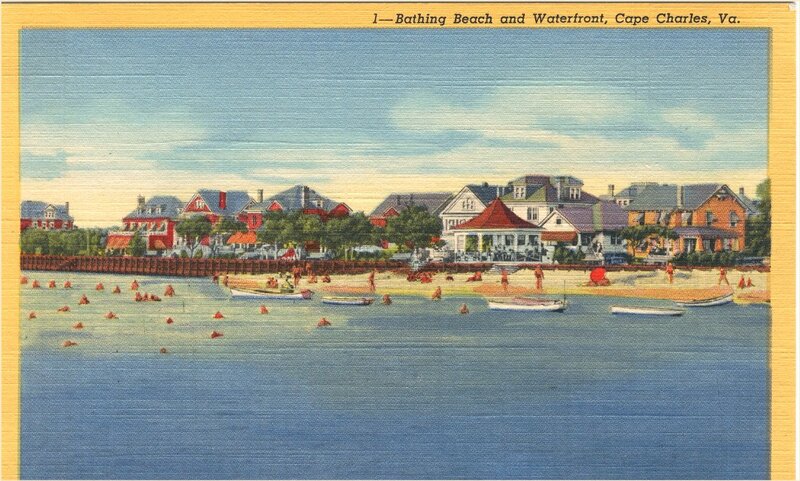 ( The first week of October is getting to be a pretty important week what with the start of the new term of U.S. Supreme Court and the Eastern Shore’s Harvest Festival and Birding Festival all held then. ) This year’s Birding Festival, held last week-end, was the 18th in this series of highly successful eco-tourism events and included the largest number of participation activities of any Festival so far. 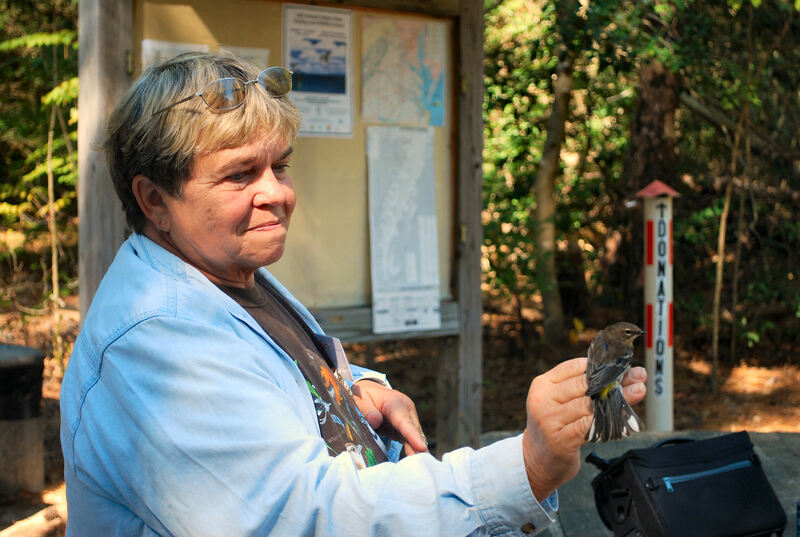 Bird lovers from all over Virginia, indeed from all over the East Coast, came to Cape Charles, Virginia to hear the keynote address given by Dr. Gregory S. Butcher, an internationally renown ornithologist and Director of Bird Conservation for the National Audubon Society. If you look at a map it’s easy to see that the shape of the DelMarVa (Delaware, Maryland, Virginia) peninsula is rather funnel-like. On the northern end, in Delaware, the funnel is rather wide. Venturing south, the penninsula grows more and more narrow so that by the time you reach Northampton County, the Shore is only about 8 miles across, narrowing to about 4 miles south of Cape Charles. During the Fall bird migration, as the birds fly south along the Atlantic Flyway, they are funneled into an ever decreasing land mass. 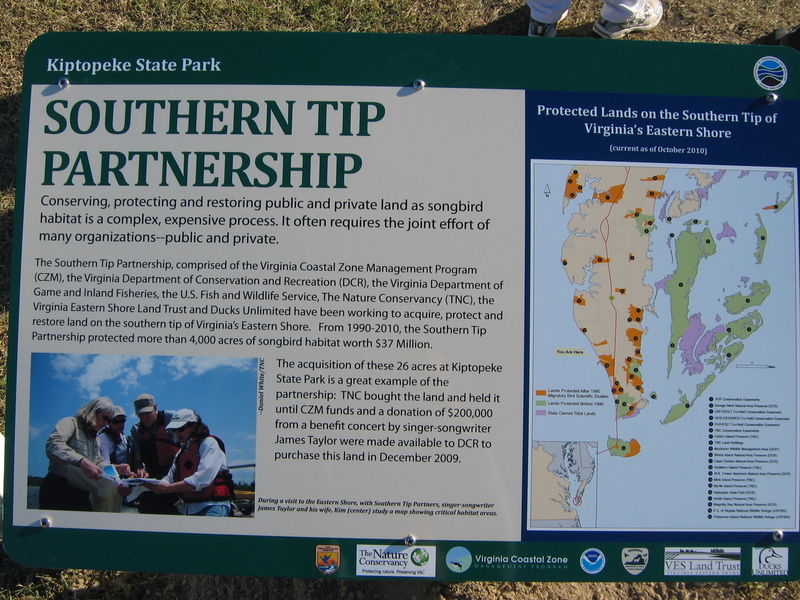 This results in the Eastern Shore of Virginia having large concentrations of migrating songbirds and raptors at our southern tip where they are able to rest and replenish before flying over open water. 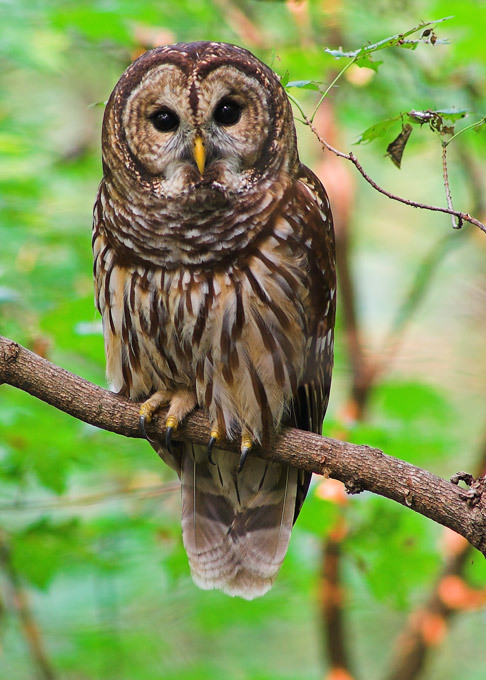 Great efforts to protect and study these birds have been expended by a large number of organizations including US Fish and Wildlife, The Nature Conservancy, Coastal Management Dept of VDEQ and numerous others. From those efforts grew the idea for the eco-friendly Birding Festival. The rest, as they say, is history. I personally think that what accounts for the continuing great success of the Birding Festival is that there are such interesting activities in which to participate, with new and different activities being added all the time. This year a number of different boating options were available including a two+ hour trip from the little town of Willis Wharf out to the Machipongo River to view shore and wading birds, a 2 + hour trip out of Watchapreague and a 3 hour boat trip out of the tiny town of Oyster to Cobb Island hoping to see nesting terns, oystercatchers, whimbrels, sandpipers, etc., maybe even plovers out on these pristine Barrier Islands and a 2+ hour trip, also from Oyster, out to Wreck Island to see what is being hailed as the world’s largest and most successful seagrass restoration program.
" Release Me Already, I'm Banded"
Meantime back in the town of Cape Charles, at Festival Central, ( www.esvafestivals.com ) lots of organizations had booths set up, literature to distribute, ready to answer questions and give advice. 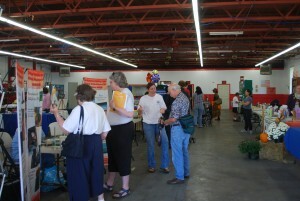 Tons of interesting exhibits and plenty of stuff for kids too. 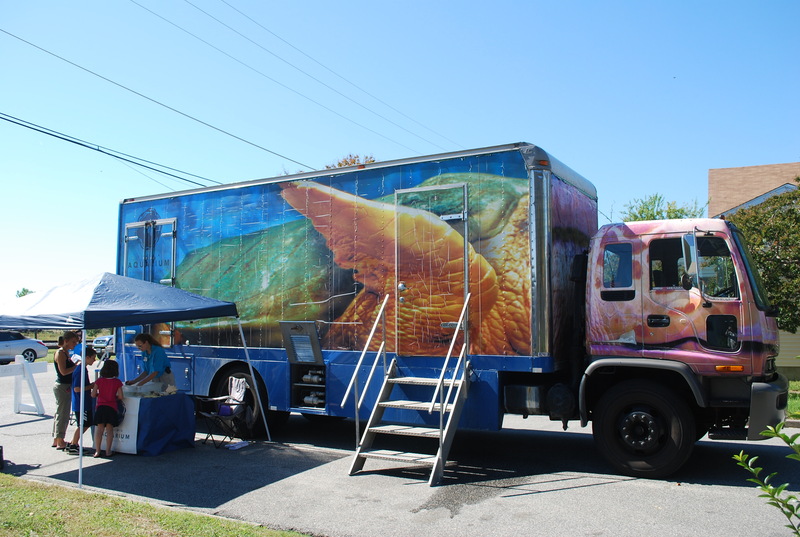 Next door, the Marine Science Aquarium’s huge mobile truck was set up with its “Oceans In Motion” exhibit plus its mini “Touch and Feel” tank which was attracting kids of all ages. 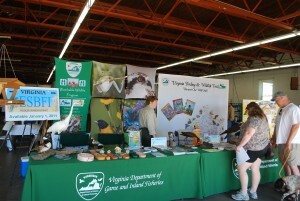 Anyone who loves Nature would love the Birding Festival. So don’t forget– the first week of October each year signals the new term of the Supreme Court, the Eastern Shore of Virginia’s Harvest Festival and the Eastern Shore Birding Festival ! Hope you can make it next year. 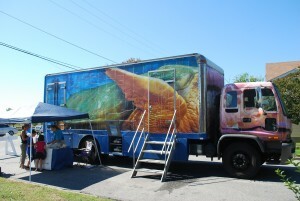 Aquarium In A Truck -- Amazing ! 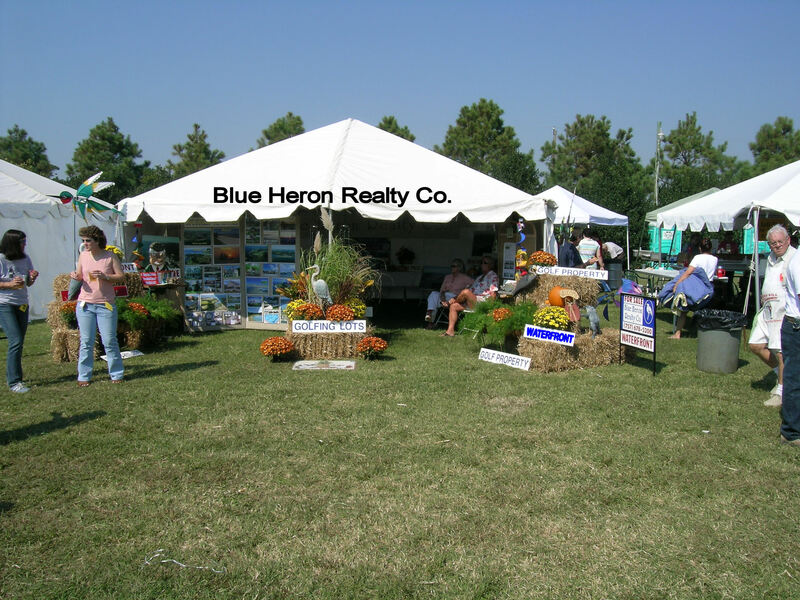 I’ve been dieting for about a week in anticipation of the annual Virginia’s Eastern Shore Harvest Festival held each year in early October. Where else can you find such an exciting array of traditional seafood dishes ( plus some land lubber foods as well) in an open air beachfront setting with music, an artist’s pavilion and inevitably, politicians. 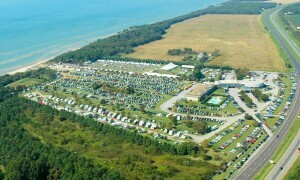 No where that I know of except at the Sunset Beach Resort located on the Chesapeake Bay near Cape Charles, Virginia , the traditional home of the Harvest Festival, held there on the first Wednesday in October since 1992. Entering the Festival grounds, it’s always fun to see all the little food tents with a few business tents interspersed. ( We used to have a tent to give out business cards and catalogues but everybody on staff really wanted to be out and about with friends and food so a few years ago we decided to consider the Harvest Festival strictly as a “Food and Friends” event and forget about a more formal business approach.) Once inside, my daughters usually head straight for the soft shell crab sandwich tent and my husband maneuvers towards the crabcake tent. But I head straight for the devils-on-horseback. ( If you’ve never had a “devil-on-horseback”, it is a shucked, seasoned oyster wrapped in bacon and roasted to pure perfection. Topped with a little hot sauce it is more like angel- on- horseback.) Harvest Fest is all about the various foods from our pristine Chesapeake Bay and Atlantic Ocean saltwaters including fish, shrimp and clams as well as oysters and crab. A perennial favorite is the “Eastern Shore style” clam chowder, made in huge kettles and thick with clams, onions, potatoes and salt pork, all cooked in a clear broth, served up steaming and fragrant. It’s quite different than the more traditional cream- based New England clam chowder or the tomato-based Manhattan clam chowder– very simple yet delicious. Land-lubbers enjoy the country ham served on traditional sweet potato biscuits or thinly sliced roast beef on yeast rolls. And who can resist Sting Ray’s famous spicy chili, lots of heat and not too many beans. And those who are “all hat and no cattle” with regard to spicyness join in the stampede for the Buffalo but mild chicken wings. Add in the Carolina- style shredded BBQ and we-all have got us-all a really fine southern-style feast ! Last but not least is the scrumptious sweet potato pie from Kate’s Kupboard Bakery– it’s the best ever, with a just a hint of lemon and a little coconut, served with or without some smooth whipped cream, just melts in your mouth. So now it’s easy to see why it’s necessary for me to diet for a week before the Harvest Festival— too much great food to resist and too many calories to ignore. So — it’s rice cakes and cottage cheese for lunch on Thursday ! 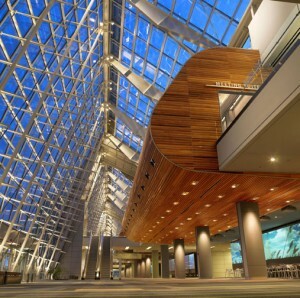 Every year the Virginia Association of Realtors (VAR) holds an annual convention and the 2010 event was held last week-end at the Virginia Beach Convention Center, a sleek modern facility which fortunately understands the value of comfortable chair seats for those who are going to be attending seminars held in 2 hour modules, i.e., the mind can only absorb what the derriere can endure. 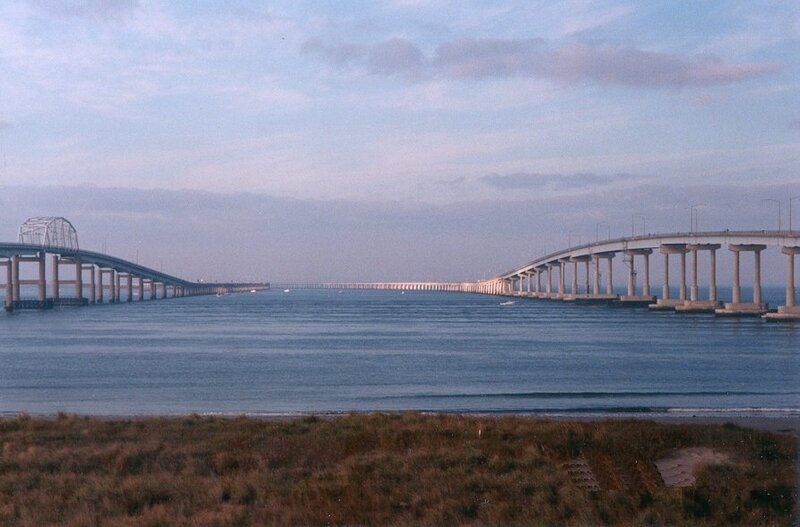 Since Virginia Beach is less than an hour from Virginia’s Eastern Shore it was an easy trip, a piece of cake really, and I slid into my first seminar with 10 minutes to spare. The convention is an annual opportunity for Virginia Realtors to network and to attend seminars on a variety of topics presented by top experts in their field brought in by VAR from around the country. This year I agents selected six seminars, each about using “Social Media”. So for nearly 12 hours over two days, I immersed myself in Internet social media ideas and questions. Starting with a seminar entitled “Beyond Blogging” given by Jeff Davis from California (who apparently is one of the top 5 experts in the US on Word Press which happens to be the platform this blog is written on) to tips on “Risk Management in Social Media” also presented by another Californian, Ginger Wilcox and finishing with “Agent 2.0” offered by Brian Copeland, a funny, funny guy from Nashville, Tennessee, my derriere endured and my mind was stretcheeeeeed. I loved Brian’s witty aphorism, you can be smart or you can be pretty but this afternoon let’s try to be smart. ( Brian himself is both smart and pretty ! ) 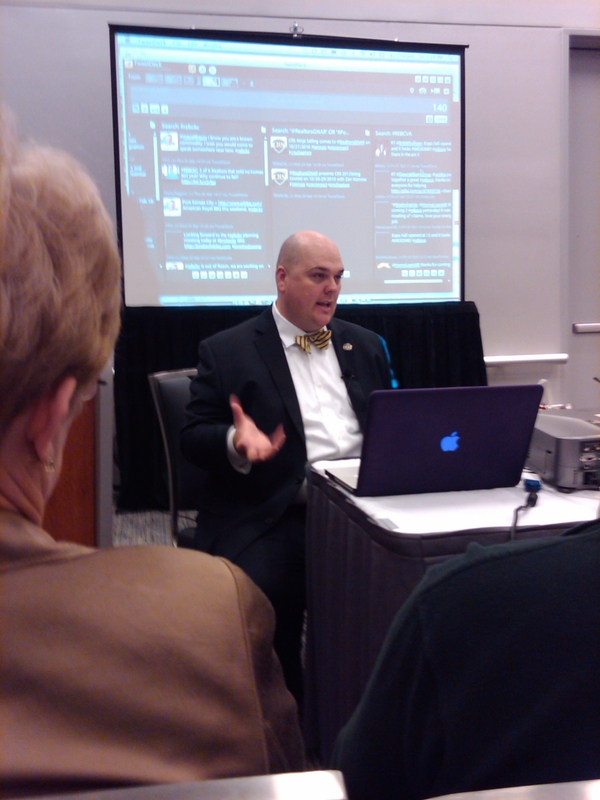 All three speakers were terrific, the rooms were fairly crackling with ideas and info, mostly new to me. I definitely was trying to be smart but I think I probably was mostly pretty. Yep, I know I was mostly pretty. Anyway, from “Engagement is the New Metric” and Dunbar’s Number (150) to websites with names like Cademus, TweetBeep and Ping, various rooms full of mostly middle age plus Realtors ( in my case, plus plus) grappled with new names, terms and concepts. We learned how to create an interactive web poll, we learned the program for doing voice-over on videos of our listings and we were urged to “move our off-line to on-line and our on-line to off-line” . My husband likes to call learning all this new technology “Coming out of the Cave.” ( For the record, I should note that he selected seminars on familiar subjects like ” Floating In A Sea of Short Sales” and “Understanding the Glue to Real Estate Agreements” and was not out there trying to understand the security issues of being or not being on Foursquare ! ) However, step by step, I do think I am coming out of the Cave but it is hard — the Cave feels safe and is so familiar. Also, much as I hate to admit it, I’m a person who looks back very nostalgically on the days when a cell phone was simply a device for placing and receiving phone calls. So, we’ll see if by this time next year I’m tweeting Tweets and friending on Facebook. The proof will be in the pudding, time will tell, not taking any bets just yet, etc., etc. 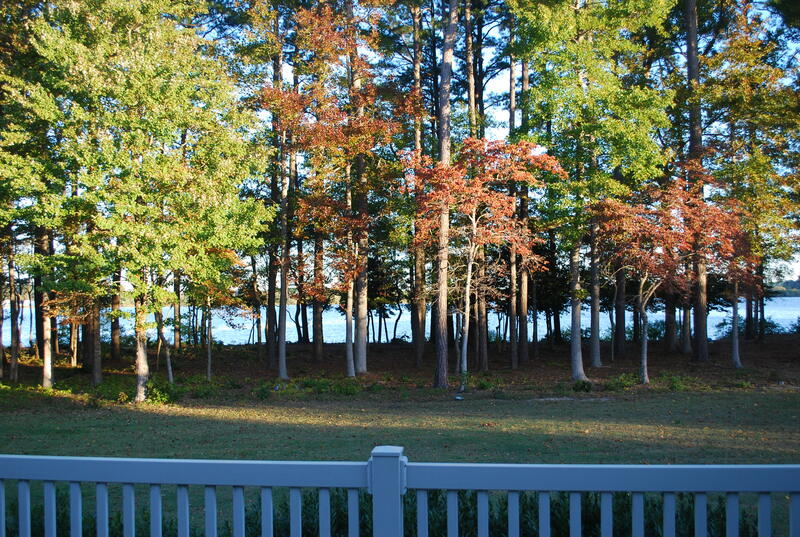 You are currently browsing the Life and Real Estate on the Eastern Shore of Virginia blog archives for October, 2010.